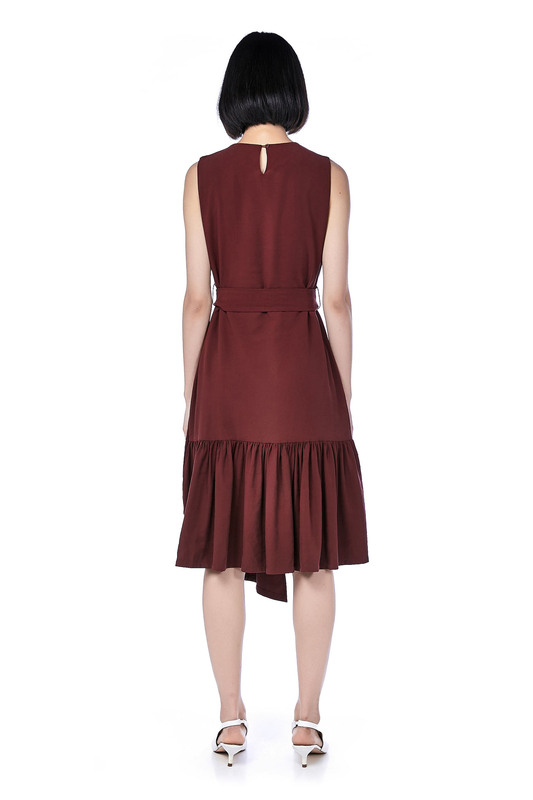 This sleeveless dress is made from cotton polyester. 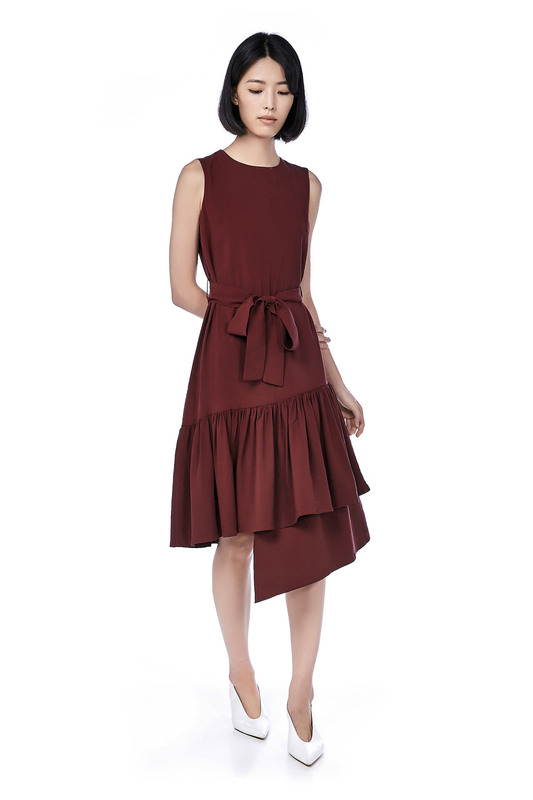 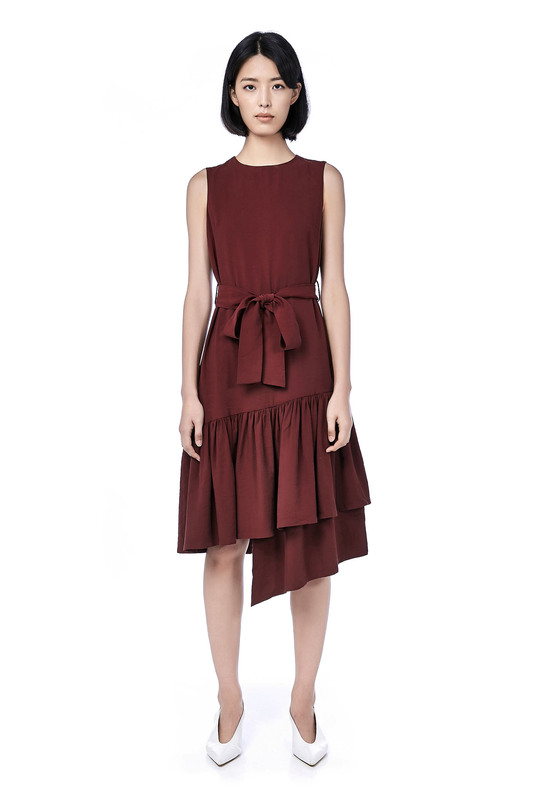 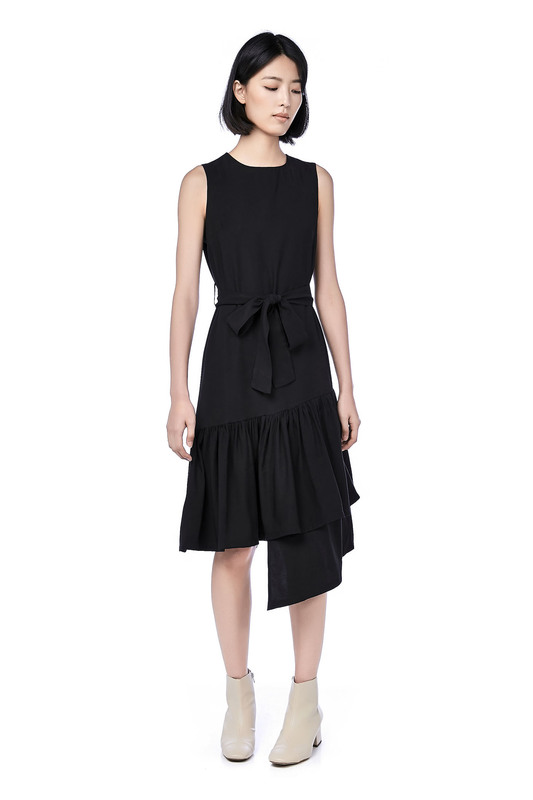 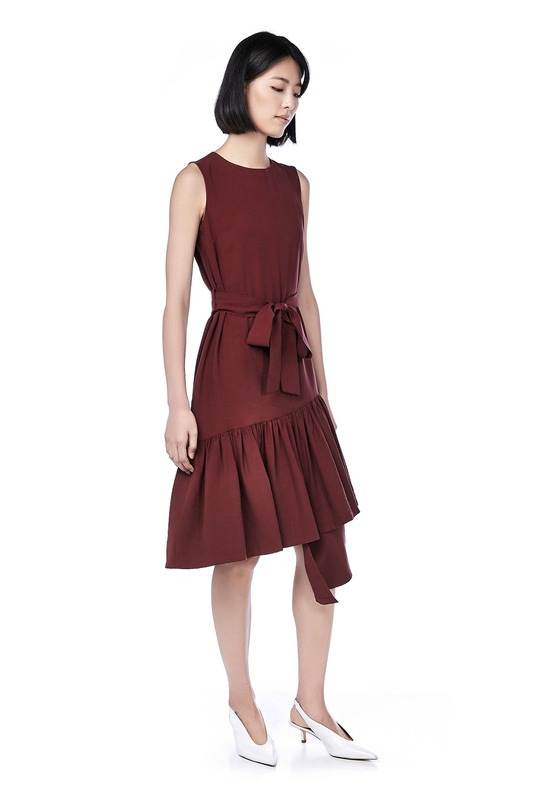 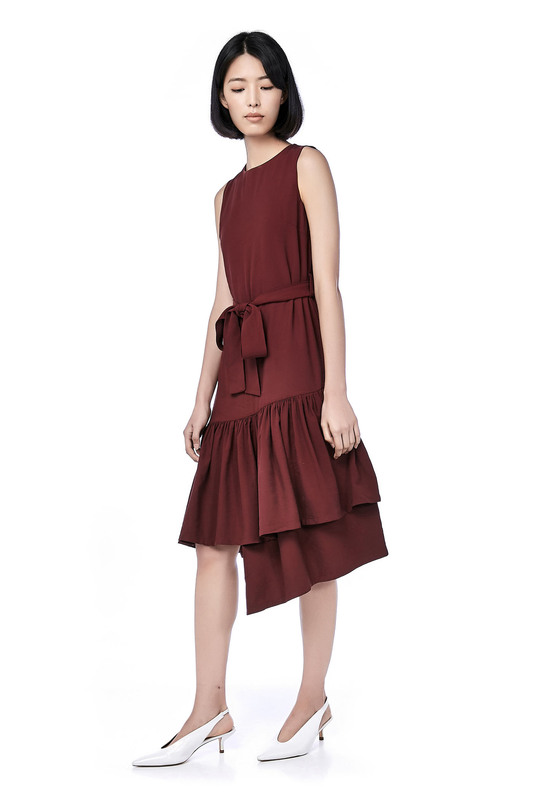 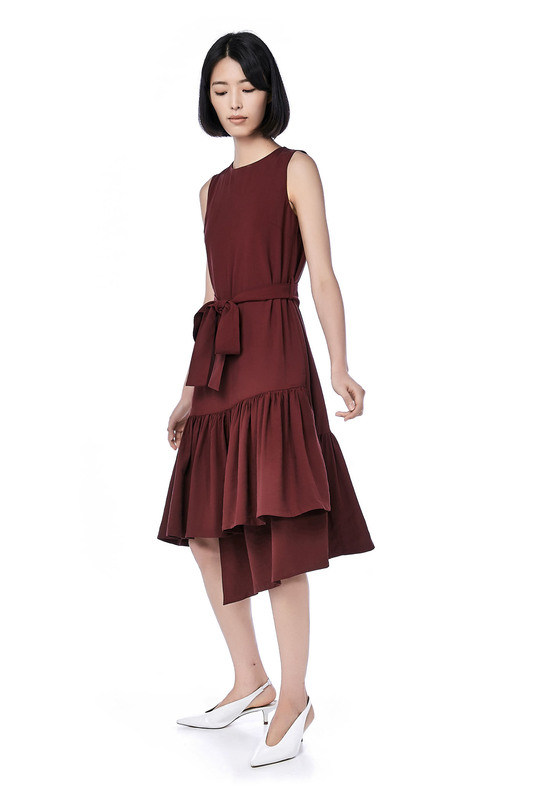 It has a round neckline featuring an asymmetrical ruffled hemline, made in a relaxed fit. 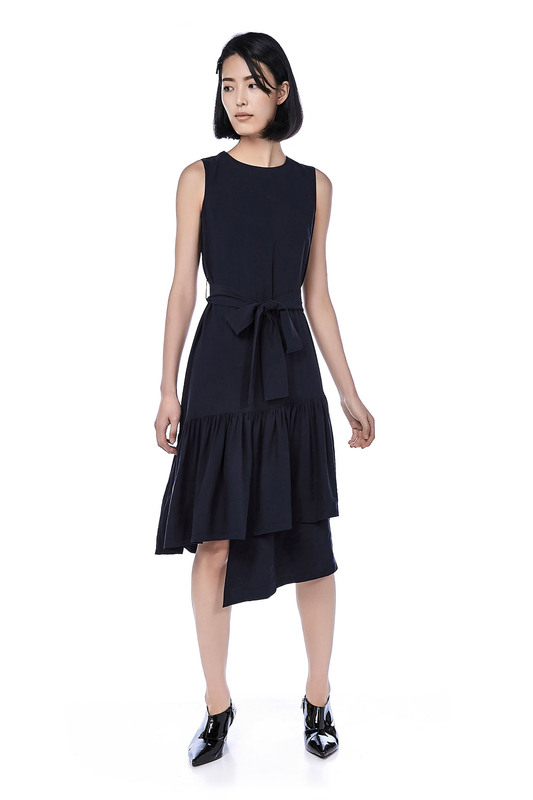 Includes a removable strap belt at waist. 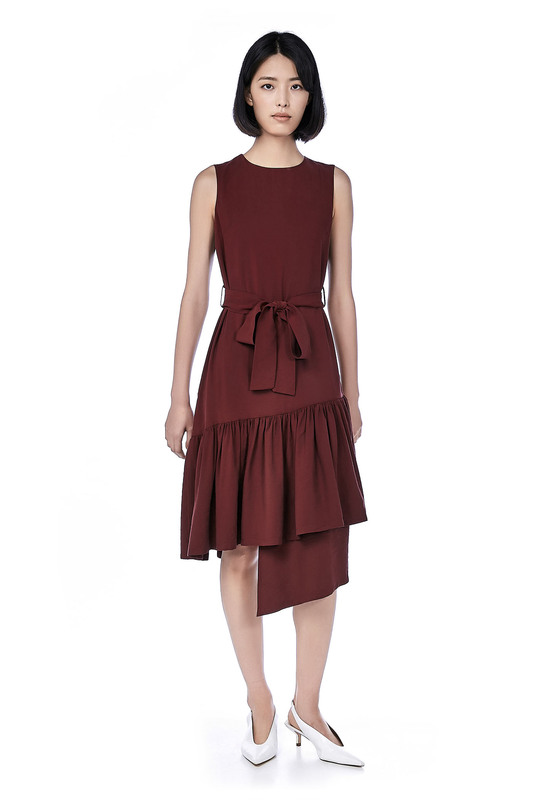 WAIST 35" 37" 39" 41"
LENGTH 39.5"/47" 40"/47.5" 40"/47.5" 40"/48"